Santa Anita in Arcadia, California will play host to the Grade 3 San Simeon Stakes on Sunday, April 19. Horses four years old and upward will take to Santa Anita's downhill turf track and race about 6 1/2 furlongs searching for the winner's portion of the $100,000 purse. The Grade 3 Whimsical Stakes is on tap for Woodbine in Toronto, Ontario this Saturday, April 18. Fillies and mares four years old and upward will take to Woodbine's turf track and race six furlongs looking for the winner's share of the $150,000 purse. The Grade 3 Santa Barbara Handicap goes down this Saturday, April 18 from Santa Anita in Arcadia, California. Fillies and mares four years old and upward will be featured when they saddle up and go 1 1/4 miles in Santa Anita's turf track. The Grade 3 Illinois Derby comes our way this Saturday, April 18 from Hawthorne Race Course in Cicero, Illinois. A purse of $400,000 will be on the line for a group of three year olds willing to go 1 1/8 miles in Hawthorne's dirt track. The Grade 2 Dixiana Elkhorn Stakes will take place at Keeneland in Lexington, Kentucky this Saturday, April 18. Horses four years old and upward will be after the winner's share of the $250,000 purse when they go 1 1/2 miles in Keeneland's turf track. Hollywood Casino at Charles Town will play host to the biggest race of this weekend - the Grade 2 Charles Town Classic will be contested on Saturday, April 18. A tremendous purse of $1.5 million will be on the line for horses four years old and upward willing to go 1 1/8 miles on Charles Town's dirt track. The Grade 3 Coolmore Lexington Stakes comes our way this Saturday, April 11 from Keeneland in Lexington, Kentucky. A purse of $250,000 and 10 qualifying points toward the Kentucky Derby will be on the line for horses three years old willing to go 1 1/16 miles on Keeneland's dirt track. Keeneland in Lexington, Kentucky will play host to the Grade 1 Jenny Wiley Stakes this Saturday, April 11. Fillies and mares four years old and upward will be after the winner's share of the $300,000 purse when they take to Keeneland's turf track and go 1 1/16 miles. The Grade 3 Las Cienegas Stakes takes place at Santa Anita in Arcadia, California this Saturday, April 11. Fillies and mares four years old and upward will take to Santa Anita's downhill turf track and go about 6.5 furlongs searching for the winner's portion of the $100,000 purse. 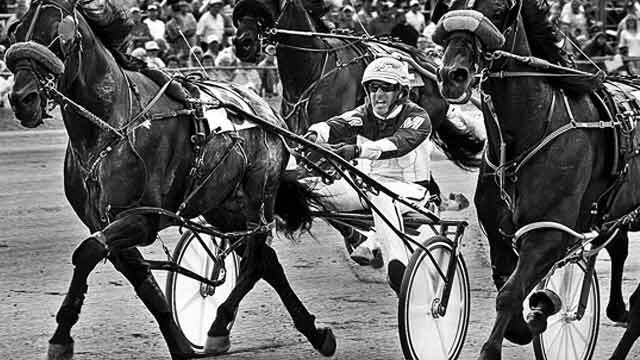 Bet Harness Racing online from the top Harness race tracks. Watch Free Live Video Streaming of every harness race when you bet from mobile phone, tablet, laptop or computer. 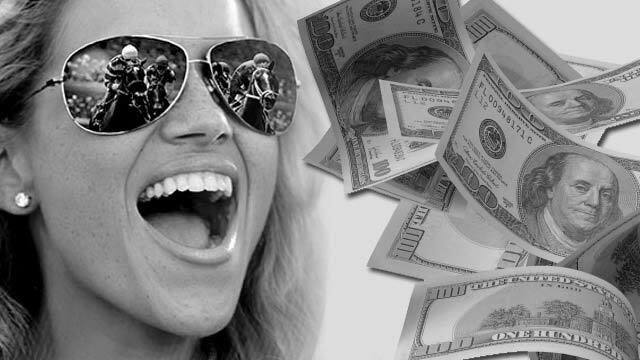 Get free horse racing picks & handicapping analysis for Saturday races at Belmont Park in New York. Elysea's World headlines the 58th running of the $150,000 Bewitch (G3) slated for Friday, April 26, closing day of the 16-day Spring Meet. Live thoroughbred racing from Belmont Park returns on Friday, April 26 with the $100,000 Affirmed Success Stakes over the main track.